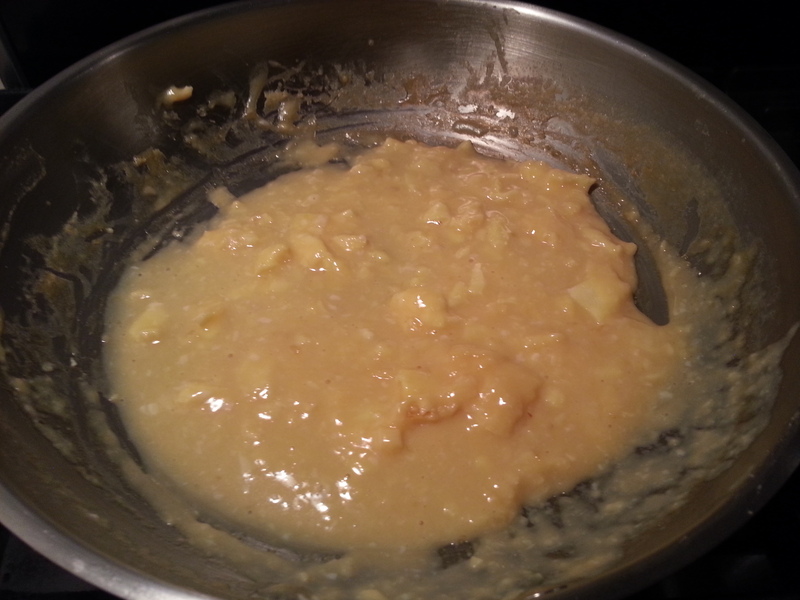 I lightly buttered the ban and then added the well-whipped eggs. I beat them with a fork today, even though I normally use chopsticks – I don’t know if there’s a difference between the two. So the eggs just sit in the pan on low heat while I stirred for about 18 minutes. I didn’t do the whole on the heat, off the heat, and just left it on low. 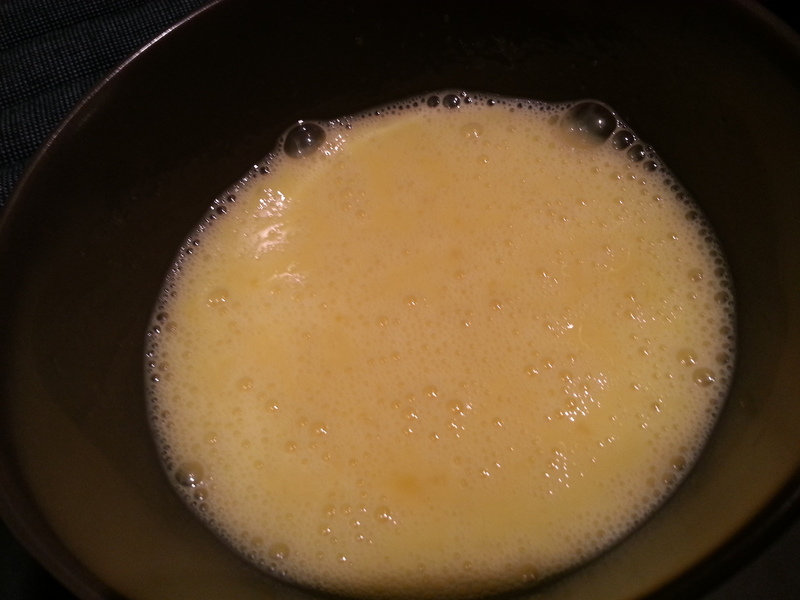 It’s a long time to cook eggs and just constantly stir, but the eggs turn out really light and fluffy. You can kind of see the eggs slowly thickening in this next picture. 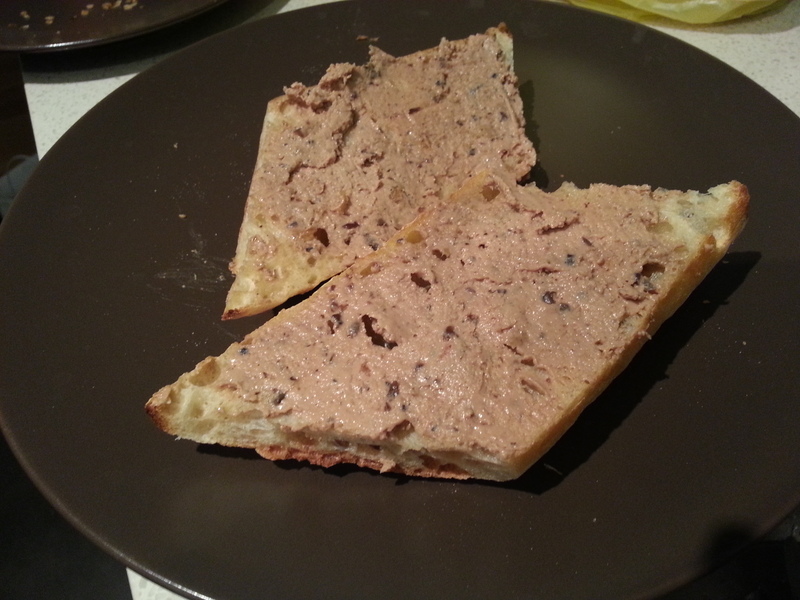 While the eggs continued to cook, I took a brief break from stirring to spread the baguettes with a thin layer of the chicken liver/turkey mousse. 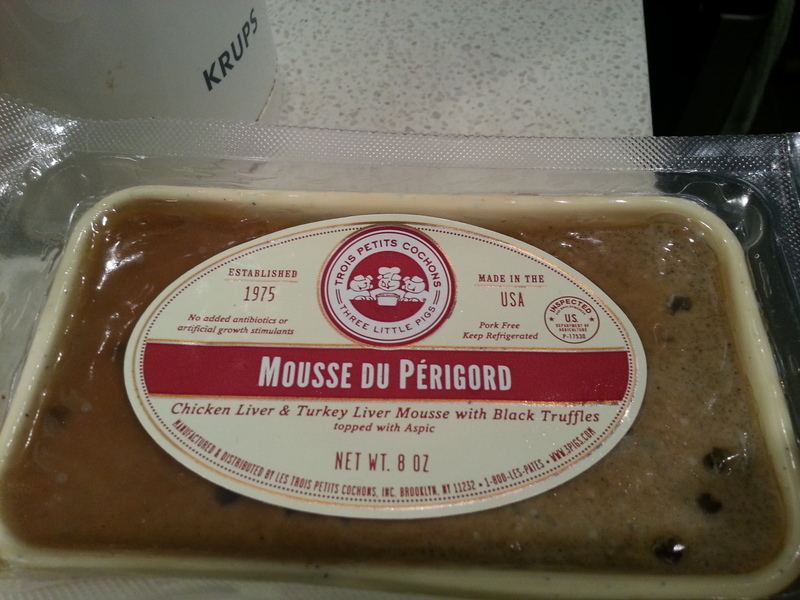 It had a very strong rich aroma, undoubtedly helped by the truffles in the mousse as well. I topped off the crostini with the finished eggs, and viola. 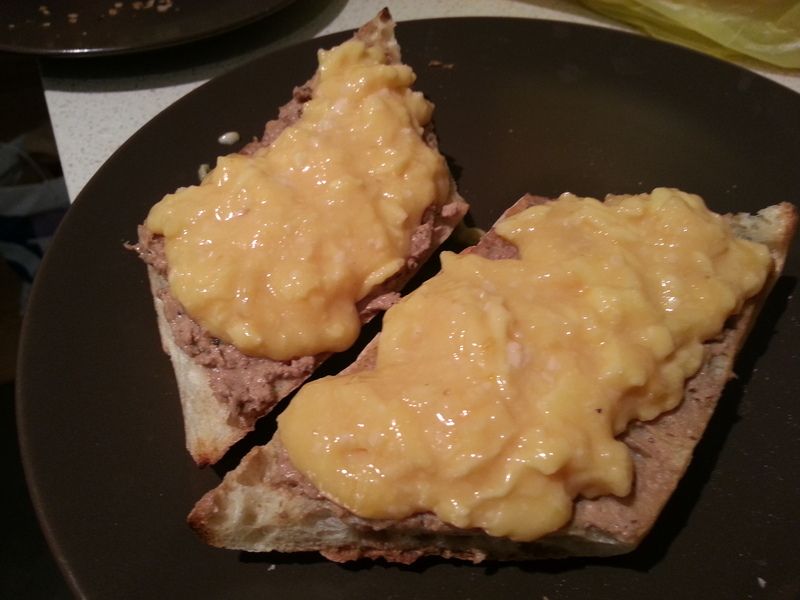 The end product is a great light fluffy scrambled egg with the rich smoky truffly chicken liver mousse toast. I think some chives would’ve helped brighten up the flavors, but I didn’t have any. Still, I wouldn’t mind having this for breakfast more often. I wonder how tweaking with medium low and low, and off/on the heat vs just on the heat the whole time, will affect the texture of the egg. Only further experimentation can tell I guess!